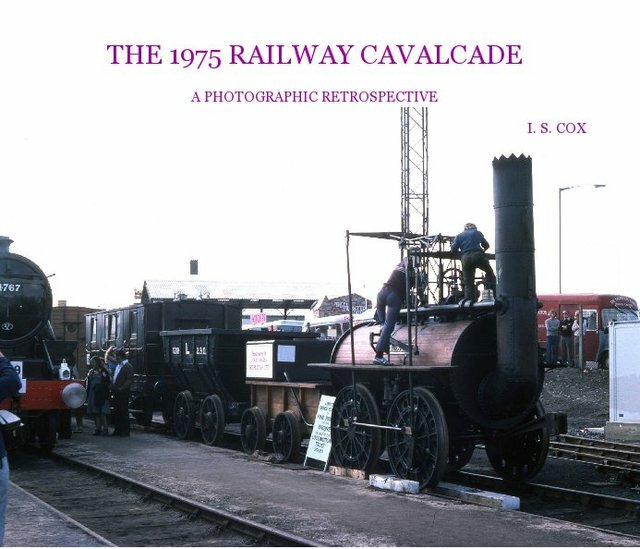 A photograph collection illustrating the 1975 150th railway anniversary held in Shildon Co Durham. Additional notes and pictures are included to broaden the topic. Tags steam, engines, railway, railway, history, steam, cavalcade, Stockton, and, Darlington, railway. I am now retired from my professional career and have my own business,having spent the last 30 or so years as a lecturer in Further Education. I have had a lifelong facination with photography, probably going back to seeing photos of myself with Donald Campbell at Ullswater in 1955, the interest rubbing off from my parents. All the pictures in these collections have been taken and processed by myself over many years. I am also grateful to life-long friends to allow me to use some of their photos in the extended edition. A small percentage of the pictures in the books are digital images, but most are from colour slides and black and white film, digitally cleaned up but not altered in any way.